We're right in the middle of summer produce season and that means corn on the cob is calling my name. I can remember summers sitting in our backyard husking corn for dinner and waiting for it to boil just so we could slather it in butter and salt to enjoy. This summer, my mom started raving about this new hack for cooking corn on the cob that I wanted so share with you all because it literally gets you a vegetable side dish in 3 minutes and you press approximately 3 buttons to do so. Did you know you can cook corn on the cob, un-husked, in the microwave? Yep, that's right. Just put it in the microwave unhusked for about 3 minutes (add about 1 minute if you have more than 3 or 4 ears in there, or do 2 batches). Let it cool when it comes out for about a minute so you don't burn yourself on the steam. Carefully husk the corn, letting steam escape as you go. Add butter and salt (or whatever else you like) and enjoy! We've been having it multiple times a week thanks to our farm share. 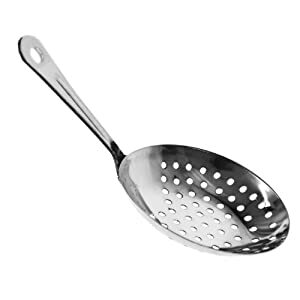 This trick is great because I know that side dishes can be annoying. I think for the first 6 months of this past school year we only ate asparagus because I could put it in the oven with salt, pepper, and olive oil and it tasted good 7 minutes later. This trick makes it easy to mix things up a bit. Side dishes are an important way to make meals more interesting and enjoyable but also to get your full range of vitamins and nutrients you need for a healthy lifestyle. So, this 3 minute microwave corn trick leaves you with no excuse not to enjoy the farm fresh corn that is all over the place. Confession: I still cut my corn off the cob as a tribute to the days when I had braces, so please forgive me. This hack leads to delicious corn on or off the cob. To celebrate 1 year of blogging (Happy Blog Birthday...Blogday? to me! ), I wanted to make a special treat. I went with cupcakes. Cupcakes were one of my first foodie obsessions back in high school. The search for the perfect cupcake in whatever new city I encountered has since expanded to the search for the best, the cheapest, the local specialty in any city I'm in. 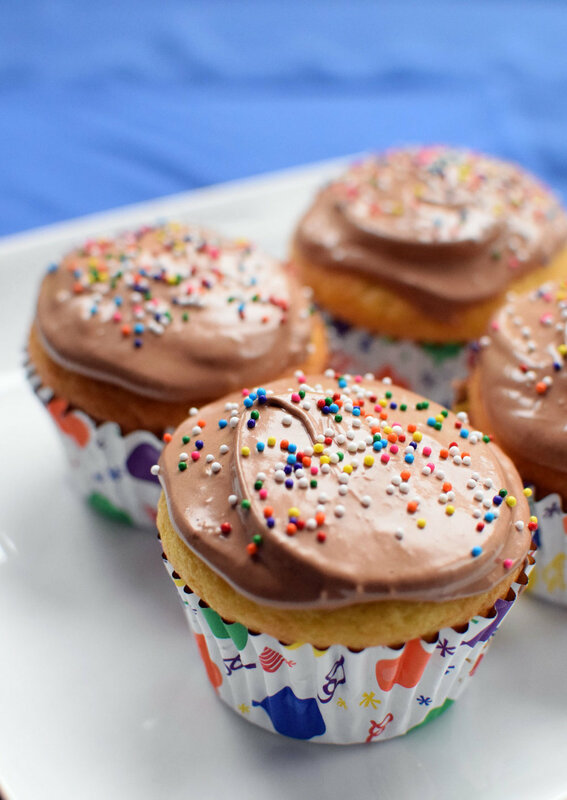 Back to cupcakes. My mom is the queen of baked goods, and she is known for whipping up a batch of brownies, 7 layer bars, fruit pizza within 30 minutes of you telling her you're going somewhere. One of her baked good hacks is to revamp a jar of store-bought frosting to make entirely not-from-scratch cakes and cupcakes taste like she spent hours making them. Sorry to break the news to my third grade class, but we didn't make those birthday cupcakes homemade. The secret is a tub of whipped topping, more popularly known as Cool Whip. At its heart, the recipe is equal parts whipped topping to equal parts frosting. This usually just boils down to a tub of whipped topping + a tub of frosting = me eating it with a spoon. The ratio can be whatever you want, but the whipped topping lightens up the frosting which can sometimes taste overly sweet and dense into something fluffy, creamy, and light. People couldn't believe it wasn't homemade. I got all of my ingredients (the boxed mix, the frosting, and the whipped topping) at my absolute favorite store, Aldi. Within a few weeks, I will be obsessing over how much I love Aldi in a post here on the blog (Subscribe to the blog to be the first to read it!) I went with my favorite combo - chocolate frosting on vanilla cake (a classic) but you can really take this in any direction. There is a ridiculous variety of frosting and cake mixes in this world. Some suggestions for what to add a tub of whipped topping to? Dark chocolate frosting & well...just about anything. Cream cheese frosting & carrot cake mix. Strawberry frosting & chocolate cake to make a chocolate covered strawberry inspired creation. With the whipped topping, you can even substitute sugar free or light versions if you want to lighten things up a bit. My mom insists that sugar free is better than normal Cool Whip, but I still don't buy that anything sugar free can be better than the real thing. 1. Follow the directions on the cake box to make your cake/cupcakes. Bake! 2. Mix together 1 jar of frosting with 1 tub of whipped topping. All from my favorite store, Aldi! STORING - Store in an airtight container in the fridge (due to the whipped topping). Cupcakes will last about a week...if you don't eat them all first, that is. EXTRA INGREDIENTS - If you have extra whipped topping, my recipe for Fruit Pizza is always a big hit. When I was little, I LOVED refrigerated chocolate frosting because it basically became fudge. So do that. The end. Today I'm sharing a trick that has saved me an hour a week - and provides me with breakfast and part of my lunch every day in 20 simple minutes on a Sunday. For a long time, the bane of my existence was cleaning my blender every day. As someone who needs to eat every 2 hours, smoothies are a lifesaver for me. I always make mine with Greek yogurt, low sugar orange juice, and frozen fruit - and I've recently been adding ground flax seeds. Since buying my refurbished Vitamix (Want one? find out how to get the best blender for less), smoothie prep has been so. much. faster. That thing can BLEND. Still....you have to clean it. And even after I started doing the clean the blender by turning it on trick, it still was the bane of my existence every night. Until....I started my smoothie prep routine. Now, I make a big batch of smoothies once a week in my Vitamix (thank god that it's so big) and freeze them for the week. I use half in Ball glass jars (the 1 pint/16 oz. size) for my breakfast smoothie. I take it out 24 hours in advance (usually the morning before I want to drink it, when I'm drinking my smoothie which helps to remind me) to defrost in the fridge. 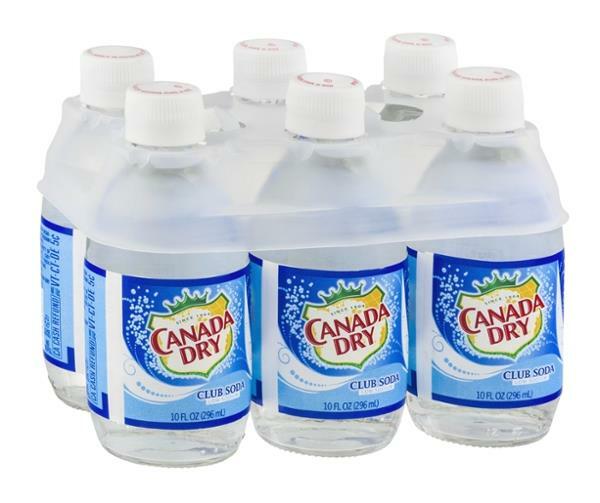 I give them a quick shake and pour in a glass. I like the jars because they seal tightly and the glass freezes well. I notice absolutely no difference in the smoothie quality - and I swear it saves me an hour of smoothie making and blender cleaning time a week now that I'm not doing it every night! My other new favorite tip for smoothie prep is my FoodWorks ice pop molds. I pour the smoothie into the pop and freeze them, and then pop them in my lunchbox when I'm packing my lunch in the morning. By the time I get to them at lunch, they're perfectly defrosted. They're super easy to clean out (I rinse mine out and then throw them in the dishwasher) and don't smell funky even after many uses. They also keep sealed in my lunchbox all day. It's a great way to add some extra sweetness to my lunch that's also healthy. I highly recommend both some sort of glass jar and the silicone molds for easy, healthy, on-the-go options! I love both of these blogs and they're a great starting place for some smoothie recipes! Note: This post contains affiliate links for products I recommend. That means if you click on a product link in this post and choose to purchase the product on Amazon, I earn a commission. I only recommend products I use and love organically. This means that if you are going to purchase a product that I recommend, I encourage you to do it through the direct link from the blog so that I (and the blog) benefit. Read the full affiliate disclosure. One of the hardest parts about making a home cooked meal is figuring out what to make and going grocery shopping to get everything you need to make it. All of my recipes are pretty easy to pull off - but it's a much more daunting class to make five of them in a week. That's why I created the first Millennial Menu Meal Plan. This Millennial Menu features 5 recipes make sense together. It's how I would go about planning what I'm eating in a week using Paprika (a meal planning app that is my #1 cooking hack) The recipes have overlapping ingredients so you're buying only what you need at the grocery store and can use it all up to avoid wasting food (and money) with rotten leftovers. Plus, it doesn't really matter what night you cook each meal. If you're buying fresh fish, you'll want to enjoy those meals earlier in the week because fresh fish should only sit in the refrigerator for 1-2 days. Other than that, this is a super flexible blueprint for your dinners this week! Even though you're using ingredients that overlap, this menu is still really varied - you go from salmon to pizza to fish tacos to curry to peppers stuffed with ground turkey. It definitely does not taste like you're eating the same thing over and over, that's for sure. Read on below to find out how/why this meal plan is so attainable. I've even included a Master Grocery List to make the whole thing that much easier. scroll to "Explore the Recipes" and click the photo of the recipe you're looking for! Start with a fresh, flavorful salmon dish. 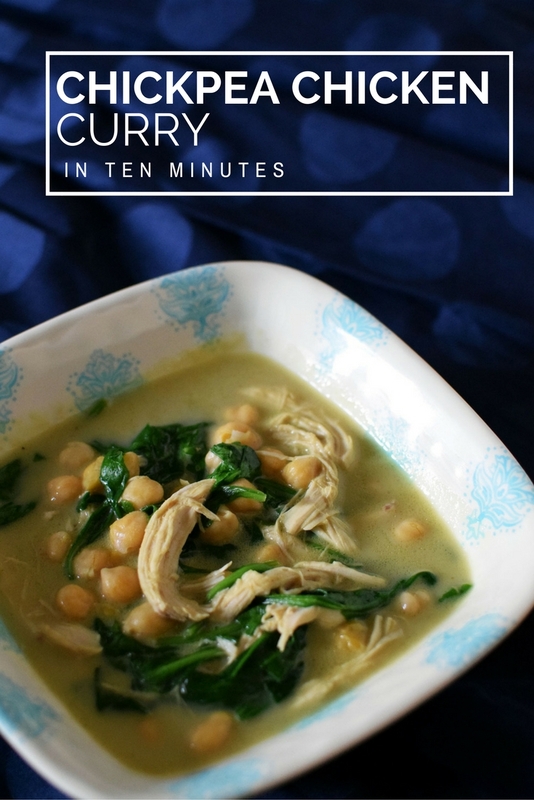 You'll need coconut milk for this recipe, but you can use the rest in my 15 minute Chickpea Chicken Curry Recipe. Whatever green you choose for the salmon will also be used again in the curry. Next, indulge in (healthier) pizza! 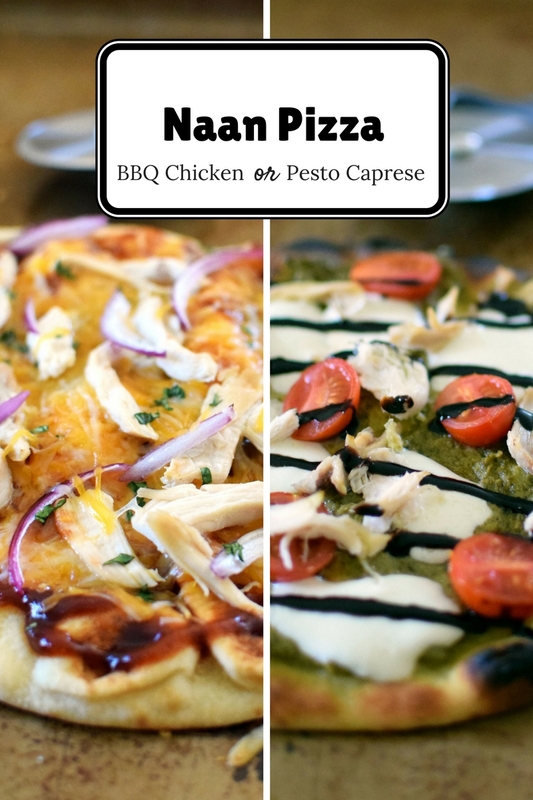 This recipe is flexible - you choose your toppings, BBQ Chicken or Pesto Caprese. Either way, you're using up the 1 rotisserie chicken you're buying in the deli section for about $5. What a deal! If you really want to overlap on your ingredients, choose the BBQ Chicken pizza. I use shredded Mexican blend cheese when I make my BBQ Chicken pizzas, and you can use the same cheese in both the Five Minute Fish Tacos and the Freezer Friendly Mexican Stuffed Peppers. Same goes for the red onion on the BBQ pizza - you'll use it in the coconut lemongrass bowl. Spice things up with one of my favorite ingredients, Trader Joe's Corn and Chile Tomato-less Salsa! 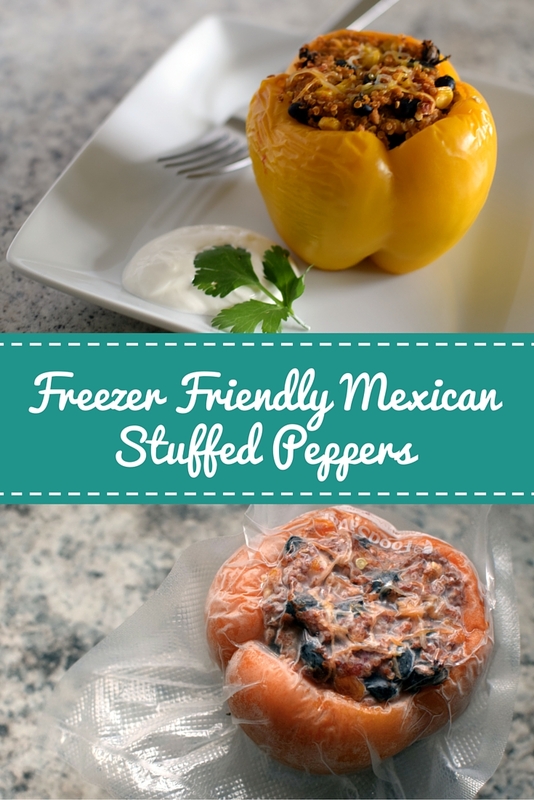 Plus, black beans, corn, quinoa, Mexican style shredded cheese and cilantro are also featured in Freezer Friendly Mexican Stuffed Peppers. You could turn this into a chicken taco bowl, too, if you wanted to use rotisserie chicken that you're buying for the curry and the pizzas. Cozy up with a big bowl of curry that takes mere minutes to pull together. You're using coconut milk and the rotisserie chicken in this recipe, so these ingredients are doing double duty in the Coconut Lemongrass Salmon and Naan Pizzas. Whatever green you chose to have with your salmon will also be used in this recipe. You're already buying black beans, corn, Mexican style shredded cheese, quinoa, and cilantro for the Five Minute Fish Taco Bowls! except for the peppers, which makes ~4. They're freezer friendly! If you chose BBQ Chicken Pizza: add chives (optional) and BBQ Sauce to your list. If you chose Pesto Caprese Pizza: add mozzarella, cherry tomatoes, pesto, and balsamic drizzle to your list.